Split This Rock's auction items, to be auctioned off at a party at Busboys and Poets Thursday night, have been generating so much excitement that we've decided to open the bidding to email bids. So, even if you live in Maine, or have to work Thursday night, you can still bid. We will appoint a proxy for you at the party who will bid on your behalf. We will contact you after the party only if you are the winning bidder. If two people send the same final bid for the same item, we will contact them both before the party to see if either wants to go higher. So please check your email frequently between now and 6 pm on Thursday. That's it! Send your bids today and help support Split This Rock, your national network of socially engaged poets. A week at Wellspring House, a retreat for writers and artists in Western Massachusetts. I am the Studio Manager & Exhibition Coordinator for the Lorton Arts Foundation (LAF) at the Workhouse Arts Center in Lorton Virginia. The LAF, a grassroots non-profit organization is creating an all inclusive cultural arts center thru a remarkable "adaptive re-use" of the closed D.C. Correctional Facility at the historic Occoquan Workhouse. The grand opening of the first of five phases was celebrated September 2008 with the opening of 7 studio buildings for working artists, a two story gallery building and a building dedicated to the art of movement, "Mind, Body, Spirit". This fall we will present an exhibition featuring both professional and amateur poets and artists invited to work in collaboration to produce Poetic Art. The work of art will inspire the poet's words, or the poem will inspire the artist's creation. The exhibition will open to the public Oct. 21 - Nov. 20, with an opening reception October 25, 2009 featuring a reading of submitted poetry. The catalyst for this exhibition is very personal and whole heartily supported by the staff here at the Workhouse. My husband Ed is a photographer; I'm an abstract artist and our son Scott a poet. He performed his slam poetry not only here in Washington and Baltimore, but New York, Boston and Chicago and in 2000 won the DC Slam Poet Championship. After 9/11 and much reflection, Scott joined the Army, and during his second tour in Iraq on August 11, 2007, he and three others were killed while pursuing a sniper. Before he joined the military the three of us were working on a collaborative exhibition of art and poetry. Of course, when he started soldiering we dropped our plans for the duration. The day before his deployment Scott said that should he not make it home we were to select a charity that helps his brothers in arms so those who wished could make a donation. Following his request we chose The Yellow Ribbon Fund . It was not long after this that I started thinking about a new direction for our art/ poetry collaboration. Poetic Art is a benefit for Yellow Ribbon Fund which was created in early 2005 to assist our wounded troops from Iraq and Afghanistan, and their families while they recuperate at Walter Reed and the National Naval Medical Center. Please email me martikirkpatrick [at] lortonarts [dot] org for more information and a show prospectus. Party With Split This Rock, Thursday August 27! Featuring A.B. Spellman and Regie Cabico with the DC Youth Slam Team! Split This Rock invites you to a party Thursday, August 27, 2009, 6-8 pm, in the Langston Room, Busboys and Poets at 14th and V Streets, NW. Busboys will be donating fabulous refreshments and creating a couple of funky Split This Rock cocktails. Why party? Split This Rock has recently received nonprofit status, a crucial step on the road to becoming a permanent home for socially engaged poets from DC and nationwide. Plus, believe it or not, it's just 6 months until the second Split This Rock Poetry Festival. So we figure it's time to celebrate. Reading and performing will be 2010 featured poet and DC leading light A.B. Spellman, along with Regie Cabico and the DC Youth Slam Team. See below for more details. Entry will be $10-$25, sliding scale, and you'll have a chance to bid on amazing prizes at auction. Come prepared for readings, for fun, for volunteer opportunities, and for celebrating! For more information: info [at] splitthisrock [dot] org or 202-787-5210. Can't make the party? You can still volunteer - just contact us at the above email or phone. We'd love to have you involved! And you can definitely still make a donation. Just click here. Many thanks! Poets Celebrating with Split This Rock August 27 - Join Us! A. B. Spellman is an author, poet, critic, and lecturer. His poetry collection, Things I Must Have Known, was recently was published by Coffee House Press. He has published numerous books and articles on the arts, including Art Tatum: A Critical Biography (a chapbook), The Beautiful Days (poetry), and Four Lives in the Bebop Business, now available as Four Jazz Lives (University of Michigan Press). 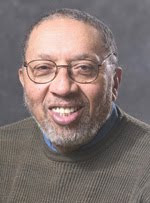 In recognition of Spellman's commitment and service to jazz, the National Endowment for the Arts in 2005 named one of its prestigious Jazz Masters awards the A.B. Spellman NEA Jazz Masters Award for Jazz Advocacy. He was a poet-in-residence at Morehouse College, in Atlanta, Georgia, where he taught various courses in African-American culture, and at Emory, Rutgers, and Harvard Universities, where he offered courses in modern poetry, creative writing, and jazz. The DC Youth Slam Team poets utilize their vocal energy and strength to channel emotions, generate a message, or participate in the artistic field they enjoy. Through their poetic works, they rejuvenate the art of poetry and create individual identities with distinct voices. These teens are the future voices of America. Welcome to the beginning of a movement. 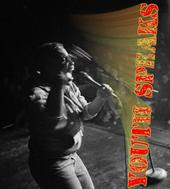 Regie Cabico is the Director of Split This Rock's World & Me youth poetry contest and Artistic Director of Sol & Soul. Cabico is a poet, playwright, and spoken word performer. He took top prizes at the 1993, 1994, and 1997 National Poetry Slams. His work appears in over 30 anthologies and he co-edited Poetry Nation: A North American Anthology of Fusion Poetry. He received a NYFA Artist Fellowship for Poetry in 1997, NYFAs in 2003 for Poetry and Performance Art, and two Brooklyn Arts Council Poetry Awards. Cabico has been a teacher for Urban Word and developed a poetry and performance program for teens with psychiatric illness at Bellevue Hospital. He received the 2006 Writers for Writers Award from Poets & Writers in recognition of his work with diverse communities. The workshop is full--to be added to the waiting list, contact Melissa at melissa.dcpaw [at] gmail [dot] com. This workshop is intended to help new poets help themselves. It will offer concrete strategies for sustained writing when the only teacher available is a book. We will explore the ways inventive imitation (Think of imitation as transformation not reproduction.) can lead to poetic discovery and innovation by discussing and then imitating published poems from a multitude of styles and traditions. Terrance Hayes' most recent poetry collection, Wind in a Box (Penguin 2006), was named by Publishers Weekly as one of the best 100 books of 2006. His other books of poetry are Hip Logic (2002), which won the National Poetry Series Open Competition, and Muscular Music (1999), which won the Kate Tufts Discovery Award. Poems in Lighthead, his collection forthcoming from Penguin in 2010, have appeared in journals such as the American Poetry Review, Poetry, and The New Yorker. His honors include a Whiting Writers Award, a National Endowment for the Arts Fellowship and a Guggenheim Fellowship. He is Professor of Creative Writing at Carnegie Mellon University and lives in Pittsburgh, Pennsylvania. Featuring Terrance Hayes. Hosted by Melissa Tuckey and special guest Regie Cabico. 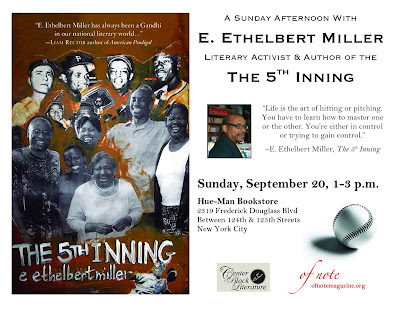 There will be readings, an auction, volunteer opportunities, and lots of poetry and love. Save the Date!